The coir provides good scraper functionality to remove dust and dirt from footwear. The mix of the rubber and coir makes a great statement piece for your front door. Attractive patterned design on the top ensures your door mat stands out. Removes mountains of dirt and moisture using its thick coir pile. Heavyweight construction of the mat means it is made to last. 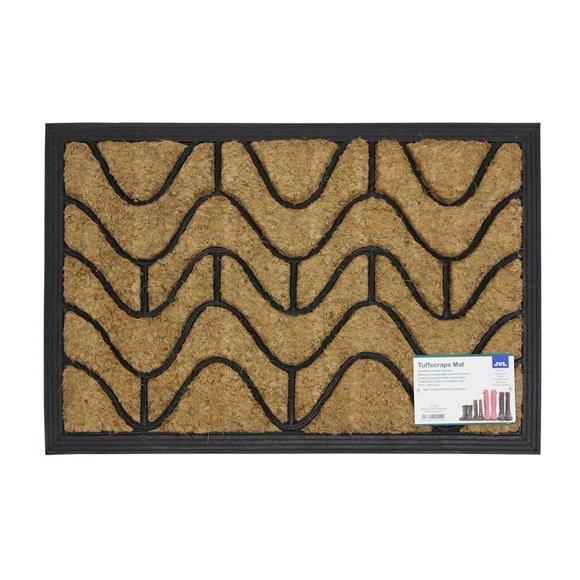 Produced in natural coir and rubber this mat is easily cleaned with a brush or hose.